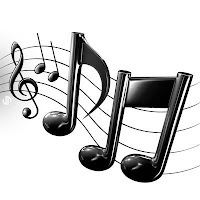 For sure, Wonderful music by wonderful musicians, and yes, it’s a wonderful world! And I think to myself… What are people gonna’ doooo??? And I think to myself… Oh, What’s Obama gonna’ doooo??? The bankers are all sayin… we own you! I know, “negative Nate” strikes again to throw a bucket of cold water on those who see roses and sunshine, but that’s my job right now, to protect my investments and hopefully help protect yours so that your retirement and financial future don’t get flushed with all the other fiat paper (as happened en mass in 2008). Right now a huge number of analysts are bullish beyond belief. They cite a basing pattern, washout internals on October the 10th, “cash on the sidelines,” stocks that are seemingly “on sale,” never been a better time to buy, don’t miss out, on and on. I read and follow many of the world’s best economic advisors and market strategists, day in and day out. MOST have been completely wrong about the events of the past year and will be about 2009 as well. Even though an advisor has been in the market place for years, if they don’t have the complete picture they will continue to be wrong. Anyone who you choose to call an ‘advisor’ had better have a good understanding of the forces that underlie the market. They do. There are three facets to understanding any market, they are the fundamentals, the technicals, and psychological. Forget to consider any one, or misinterpret any one and market disappointment awaits you. Yes, it’s great to be optimistic, but the markets do not care one iota about your personal optimism. If you’re going to have a retirement that’s worth anything, it’s time to be realistic, and consider the facts. ANYONE who does not hone in on these three areas, and especially if they do not understand the fundamental situation as I describe below, should be ignored and should not be entrusted to handle your money. Our monetary system is such that all money enters into being as debt. All that debt (all money) carries interest. Our money system is interest bearing, fractional reserve (leveraged), money by fiat (by decree): Huh? Interest Bearing Fractional Reserve Money by Fiat… Doh!. It requires never ending growth, year after year. But the law of exponents causes all that interest to compound upon itself and grow to giant, unsupportable extremes over time. The greatest credit bubble in the history of mankind was created through the process of debt securitization. What that means is that all the debts were sliced and diced and turned into derivative products. A derivative is simply a piece of paper that represents some other underlying thing – in this case promises to repay debt. These derivatives were then leveraged up by financial institutions through the use of other derivatives. Thus the entire system became permeated with derivatives of derivatives – gigantic, scary amounts of them. So many, that there’s NO WAY that the people who have promised to pay can. It’s as simple as that, don’t let anyone try to tell you that it’s so complex you couldn’t ever understand – that’s exactly what they want you to think! The most egregious example is our own Secretary treasurer, Hank Paulson, who as the CEO of Goldman Sachs threw parties in celebration of his sales team’s victories in shoveling off (selling) these debt derivatives all over the world to unsuspecting people, their retirement plans, and their governments. Goldman Sachs, with Paulson at the helm, even turned around and placed bets (derivatives) against the very product they were selling and profited from their demise (have pitchfork?)! Today he preaches about transparency but practices obscuration while asking for your future earnings to bail out his personal holdings and a private central banking industry which should belong to the people in the first place. Conveniently, our government looked the other way and left the world of derivatives to be completely unregulated, untracked, and unchecked. Collectively, the production of and flow of derivatives around the globe is referred to as the “Shadow Banking System.” That process of securitizing debt grew to parabolic and out-of-control proportions (Spend some Time with the Good Dr. Bartlett…). 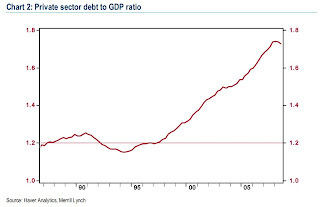 Now that process of securitizing debt is crashing down the backside of the parabolic curve. Since it was not tracked, no one knows for certain how big it is or how much leverage was deployed. It was huge, and the world of derivatives grew to many times the size of global GDP. The debts permeated all facets – federal, state, and local government debt; corporate debt; and personal debt. All that debt must be serviced by the same 305 million people in America. It all adds up to more than $300,000 per man, woman, and child. This debt is NOT SERVICEABLE, even at half the present level (Death by Numbers). There are two and only two ways to pay debt back. It can either be paid back (with interest), or it can be defaulted upon. Our government, with the help and pressure of the financial industry, chose to pass their debts onto the taxpayer. They have simply moved from one bag holder to the next, the vast majority was never defaulted upon which is what should have happened to clear the system. Instead, all the bad debt now sits in the government’s hands, our hands. It has not gone away, and the math will not work until it does. Many still fear inflation. Inflation is what happened over the past 25 years. It was one of the longest uninterrupted growth periods in history, and most living adults have not known anything but. That certainly doesn’t mean that deflation cannot transpire and that’s why it’s important to know and understand history. Deflation is occurring now and will for some time, despite “quantitative easing” and cash hauling helicopters – Bernanke’s folly. David A. Rosenberg at Merrill Lynch is an economist who understands history. He just released an article entitled, “Rosenberg - Don’t know much about history: the sequel” which can be found in all its glory here: Don’t know much about history . As Chart 2 illustrates, this household and business debt/income ratio is still 50 percentage points above the long-run pre-bubble norm. So, it is difficult to believe that we can actually embark on a new credit cycle when the level of outstanding private sector debt remains $6 trillion beyond the bounds of what the economy has traditionally been capable of handling. Thus, the underlying debt and math must be kept in mind when evaluating anything regarding the markets or our economy. The ‘C’ I am referring to in the Voyage to the Bottom of the ‘C’, represents in Elliott Wave terms the third and final leg of an A-B-C correction which is correcting an up cycle which began before America was even born. That puts this correction on a higher order than the Great Depression, a “Grand Supercycle Degree” corrective wave. The ‘B’ I am referring to in the title of this article is the middle wave of the A-B-C. Wave ‘B’ is the eye of the storm and its motion is up/sideways. Now, to be honest, Elliott Wave does NOT forecast or predict the future. What it does is eliminate possibilities leaving narrower choices of possible outcomes. One of the outcomes that was eliminated was that this correction is merely on a supercycle degree, that’s because the S&P 500 broke the 2002 lows. Once this occurred, it cannot be ignored or wished away. It happened. 1. The peak in the year 2000 was THE peak and the move to the 2002 low was wave A. 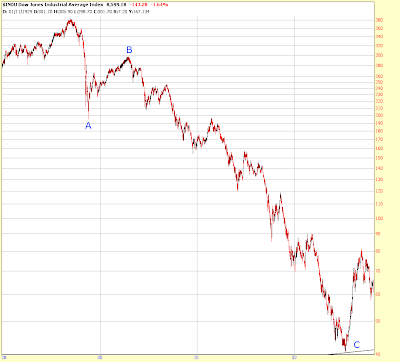 The bounce to the October, 2007 peak was wave B. And now we are in wave C down. This is my LEAST likely scenario because the peaks in several of the indices were higher in 2007 than in the year 2000 and that is not in accordance with the rules of construction. Let’s suppose that those indices do not count… if that is the case, then we are currently in wave 4 and we have a 5th and final wave down to go that should break beneath the lows of this past November. 2. Wave A began in October of 2007 and we are in wave 4 of A. That leaves us with wave 5 down, same as above. Plus, it leaves us with wave B and all of wave C still to go. This would be the most bearish scenario and it is prescribed to by a number of people. 3. We completed wave A in November, and are progressing through wave B, which will be followed by wave C down beginning sometime early this year. This is what I’ve been subscribing to and writing about although I’m still open to the other possibilities. In the medium term, it doesn’t matter as the next major move is DOWN under all three scenarios. Those who do not understand or prescribe to Elliott Wave are missing this vital piece of the technical picture. Most likely we are either in wave 4 down of wave A (which is either done or about done), or we are about to begin resume wave ‘c’ up of wave B (labeled red (b) on the chart above). This is a chart of the DOW from 1928 to 1932. Note how the A-B-C unfolded. The decline from 380 to 40 represented a 90% loss of market value. And according to Dr. McHugh this is on a higher level! I will note, however, that doesn’t mean that it will necessarily lose more of its value; that would be hard to do. There is a lot more evidence that says this decline is not done but will not be covered in the scope of this article. Suffice it to say that I have several long term indicators that can and will signal when the next bull market has begun and they have not been triggered. 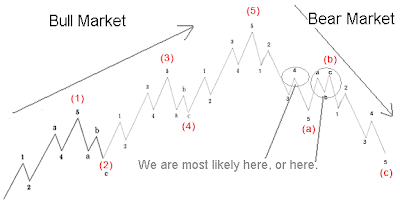 I place the highest odds of us being in wave B up/sideways and then wave C down should probably last until at least the first half of 2010. And that’s just in equities… real estate will take longer before it begins to gain in value again. Ha, that giraffe kills me! But all this psychobabble so far is just subjective. We have many objective measurements of sentiment we can use like the put/call ratio, the trin, the VIX, VXO, and others. To keep this short, I’m just going to say that objective fear levels are elevated but way down from their peak which is expected for wave 4 or wave B sideways market movement. If you would like to delve into detail, I wrote a report about the VIX on New Year’s Eve and it is still mostly valid and has been behaving so far as I predicted here: VIX Analysis. Oh, I could go on and on, as if this wasn’t enough! I still want to talk about the bond market, P/E ratios (still way overvalued), our currency, what I see as a way forward, etc. And I will, but you’ll have to come back to see those another time. The purpose of this article is simply to let you know where I think we are. Yes, it’s a wonderful world, but our economic mess and stock market decline are NOT over, we’re likely still in wave B.